While it’s easy to let technology take you from important things in your life – texting instead of talking to someone face to face, playing video games instead of playing outside, exchanging fake online relationships for real ones, etc. I’ve also found, that when used correctly, technology can be a huge help in my homemaking! I’m a fan of technology. My husband and I each have smart phones, a laptop, a kindle, an iPad, and two home computers. While part of this is because we run a business at home (okay a LARGE part) it’s also because iPhone apps, websites, and other technology has been a really big help to me in managing my home. I want to share with you today, some of my very favorite technology things I use in my home. This list has morphed over the years and I expect in a year or two this list will change again. And I should note: I’m actually a pen and paper kind of girl. My husband totally makes fun of me – but for my schedule, lists, grocery shopping, etc – I do it ALL my hand in a notebook or in my favorite daily planner. There’s just something about writing it out and having it right in front of me. So if you are more of a pen and paper kind of gal and don’t think any technology things will help you – maybe have an open mind and try out some of these. You might actually find that you are a hybrid kind of gal instead! If you have any to add to this list, please leave a comment so we can all learn together! I have an Andriod (Note 3) and my husband has an iPhone but I’m fairly certain all of these apps are on both devices (you could also use these on a tablet like an iPad). I’m not going to link to some of these apps since you can just type the names into either the app store or the play store. Okay Evernote is technically a hybrid because you can use it in your web browser on your phone and on your computer. Basically it’s a content storage system. You can make lists, take notes, clip articles from the web, store photos, and more. I’ve only ever had the free basic version and it’s been great. I use it to store a lot of my blogging stuff but I also have personal “notebooks” stored. I really like Evernote because anywhere you sign into it (on your phone, computer, iPad, etc.) you have instant access to everything. I often use it for meal planning when I’ve found recipes off the internet. I will load all the recipes up into a note and then I can pull them up at the grocery store on my phone, in the kitchen, or email the recipes easily to friends when they ask for the recipe! This one might seem like a no-brainer but it’s one of my favorite homemaking tools. The clock that my andriod phone came installed with, has an alarm, stopwatch, and timer. Obviously I use the alarm for waking up in the morning but I use the timer throughout the day more than any other app. I use it to set an alarm for the washer and dryer so I remember to change them over – I forgot every single time otherwise! When I’m unmotivated to get the kitchen clean, clothes folded, or vacuuming, I’ll set a timer for just 15 minutes. That way, I know that if I’m miserable, all I have to do is spend 15 minutes and then I can be lazy again. But usually, getting started is the hardest part. So I often end up turning off the 15 minute timer and finishing the task! Using my timer throughout the day helps to keep me motivated, on tasks, and un-forgetful! I use my Bible app every single day! I use the You Version app which has everything I need to help me stay consistent with Bible reading. They have pretty much every Bible version you could think of including my two favorite – ESV and NASB. On certain Bible versions (such as the ESV) it even has a read aloud option so while you are cooking breakfast, you can have your morning sections read out loud to you! But what I really love is their built in reading plans. They have dozens of different reading plans to pick from – read the Bible in a year, chronologically, individual books, sections (such as the New Testament), and even 30 day devotionals. Once you downoad the app, you make an account, and sign up for a reading plan.It’s then tracked from within the app and you can even set it to give you reminders at a certain time each day, read your sections out loud to you, and really helps to keep me on track!! A lot of people don’t realize that you can download the free kindle app onto your smartphone or tablet even when you don’t own a Kindle! While it usually costs to purchase books in the app, they also have a ton of great free eBooks and fantastic deals. I’ve found free (or cheap) books on natural cleaning, organization, homesteading, devotionals, and more! I signed up to get email updates from eReader Girl. It sends me a daily update of all the free or cheap eBooks that are out each day. It takes just a few seconds to scan the list and see if anything interests me or not. My Kindle app really kept me occupied all those long hours nursing my twins. Audible is the newest addition to my favorite apps list but I am so in love with it. I’m an avid reader, but with twin toddlers, my home business, and managing my home, I either can’t find the time or I’m too tired to sit down and read if I can find a few spare moments. Plus my husband has a 2 hour commute (one way) and so we’ve found audio books to be an amazing addition to our routines! For months we’ve been frequenting our local library for free audio books to rent, but now we have nearly exhausted the selection of books we want to read. So now we have a monthly membership to audible. With it, we get one book a month with the option to purchase additional books at a heavily discounted price (audio books are expensive)!! We alternate between fiction and non-fiction books and usually try to buy books that we are both interested in to get more bang for our buck! I listen to books while I’m driving, cooking, cleaning, out for a walk with the kids, etc. It’s an excellent way to fit some fun fiction reading in with great Gospel-centered books I’ve been wanting to get to. Pssst: You can join audible get get your first month free (which = 1 free audio book)! I highly recommend you use that credit to listen to Say Goodbye to Survival Mode, one of my all time favorite books. Use it to go through my book study on it. It’s no secret that Pinterest is my favorite social media platform – but my love of Pinterest goes far beyond that. Of course Pinterest can be a time waster sometimes, but usually, I find it immensely helpful. 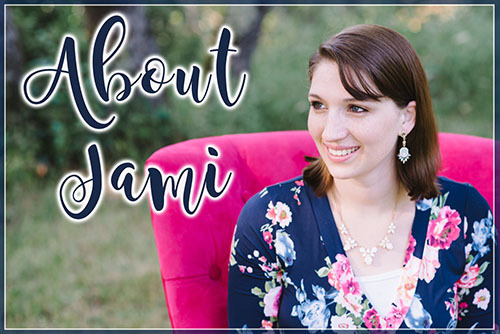 I use it to search recipes every week, find home decor ideas, activities for my toddlers, marriage printables and date night ideas, house cleaning hacks, homemaking tips and Biblical encouragement – and it’s all because I follow some amazing ladies who pin amazing things! If you want to follow me – you can find my profile HERE! I pin all things relating to homemaking and Biblical womanhood! Huh? How does Netflix help in my homemaking you might ask? Well aside from having some really awesome documentaries on pregnancy, birth, and healthy eating and a whole section of faith filled movies – the Netflix app on my phone and on my TV are life saving sometimes with my kids. I don’t love my kids watching a ton of tv, but with very active twin toddlers – It’s a must some days for me to be able to survive. And I’m totally okay with that! Some mornings, when all they want to do is crawl into my lap. I turn the TV on, boot up a Veggie Tales on Netflix and I then have about 30 minutes to do my Bible reading and devotional time in peace. Some days – it’s the only way I can get some time by myself for Bible reading and at this stage in our life as a busy mom – I’m so thankful for Netflix! You can get your first month FREE with Netflix to try it out. Here are just a couple website that I find really helpful in my homemaking. I’m not including blogs here because there are just way too many to name here. Maybe that’s another blog for another day? I have tried several meal planning sites and Build a Menu is by far my favorite. I don’t use it every week, but it’s such a life saver to have there for those weeks when I’m so busy I can’t wrap my head around trying to make my own menu, compile the ingredients, create a shopping list, etc. With about 10 minutes time, I have all of this done and a printed shopping list (by category) ready to walk out the door. You can read my full review HERE to see all the features that Build a Menu has – but I’ve been using them for about 4 months now and have been very happy! You can also use coupon code: SAVEMEMONEY to get your first month for only $4 – A great way to try it out risk free! This is another recent discovery of mine – and I’m totally in love! ThredUp in an online consignment store of gently used clothing. I haven’t bought new clothing since before I was pregnant with my twins who are now 21 months old. I was ready for some new Fall clothing and was so happy when I came across ThredUp. I include this website here in this list because while I was able to get myself some new clothes (yay!!) I was also able to d some Fall clothing shopping for my ever-growing boys (double yay)!! I was a little overwhelmed by the website at first, but as soon as I started digging in, I found SO many amazing things for a really good price. Here is a picture of some clothes I got for my boys and here’s a picture of 4 beautiful dresses I’m totally in love with! (Psssst: you can get $10 OFF your first order from ThredUp when you order through this link HERE)! I have to add this one in because it’s such an amazing deal! The first annual Homemaking From Scratch conference launched in October! It’s a fully online Christian Homemaking conference where you can listen to the conference sessions at your own pace and on your own schedule. All 13 sessions are amazing and I cant wait to listen through them all again. There is so much content jam packed into this conference that I’m so happy I can listen to the sessions when I have the time! 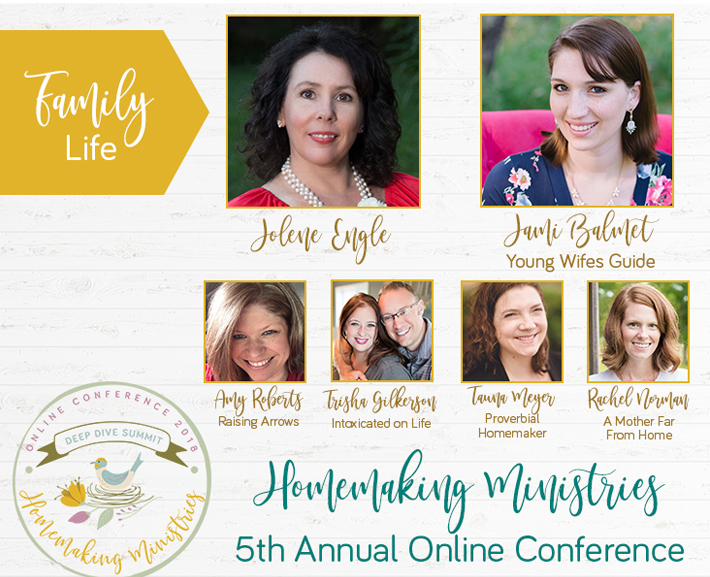 When you register for this fully online homemaking conference you will get instant access to all 13 conference sessions, the ability to watch on any device, a conference notebook, and 3 bonus printables! CLICK HERE to find out more. Definitely, pinterest is my favorite. I also grown fond of the you version kids bible app. I use it for children church and little kids I babysitt. You MUST try Wunderlist…it’s a list making app that allows you to give access to other people. For example, my husband and I can both add to the grocery list on each of our individual devices and it syncs everything up for us. It’s wonderful! I completely agree! That app is a life saver! I would recommend http://www.outofmilk.com . It’s a grocery list, pantry, refrigerator list maker. You can access it through app or web browser. I love it, I don’t have to fumble with pen and paper when at the store now.